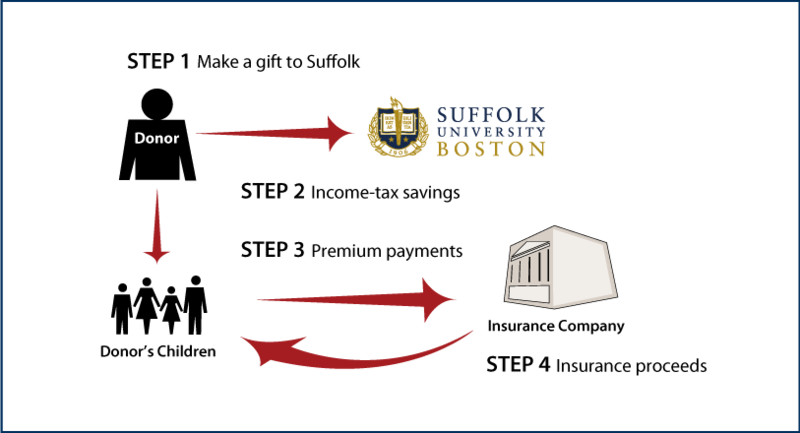 Life insurance can also be used to replace an asset that has been given to Suffolk. 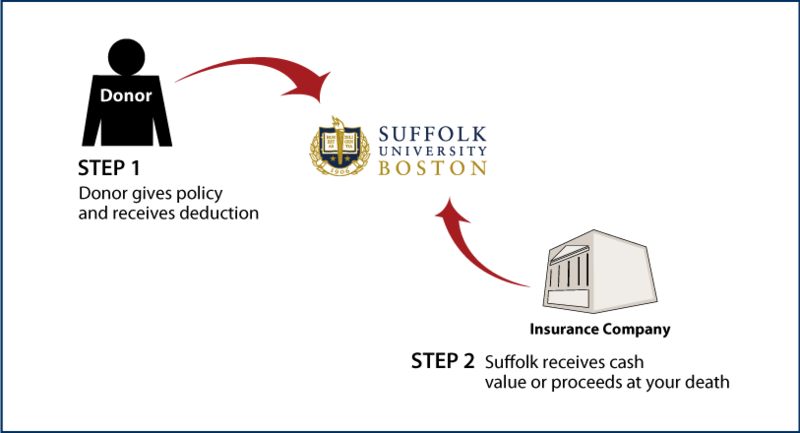 How it works: After a donor makes a gift to Suffolk, the tax savings produced by the charitable deduction are used by his or her children or an irrevocable trust to purchase and pay the premiums on a life insurance policy on the donor's life. Such an arrangement can ensure that the interests of family beneficiaries will not be adversely affected.